ATLANTA, Ga. — RoadLink, a private independent intermodal logistics service provider, has agreed to acquire CP Ships Trucking (C-Truck) from Hapag-Lloyd (Canada), subject to review by Investment Canada. Upon closing, RoadLink will launch a new alliance with Fastfrate, a Canadian supplier of transportation and logistics services, to operate selected locations and further enhance their combined capabilities for customers across North America. “The acquisition will enhance service capabilities as we deliver single-point-of-contact solutions to complex transportation and warehousing challenges,” said Chris Munro, CEO of RoadLink. Headquartered in Montreal, C-Truck was acquired as part of Hapag’s acquisition of CP Ships. Deciding to concentrate on its core business, Hapag-Lloyd officials say they made a strategic business decision to divest C-Truck, which has six locations in Canada and the US and operates approximately 240 trucks, the majority of which are owner/operators. Through their alliance, RoadLink and Fastfrate officials say they hope to offer their customers one-stop, seamlessly integrated and cost-effective comprehensive transportation services throughout North America, including cross border service. Supported by RoadLink’s TrueVision technology platform, the company says its customers will be able to track their containers from inbound ships through the entire distribution system to the final destination with this new system. 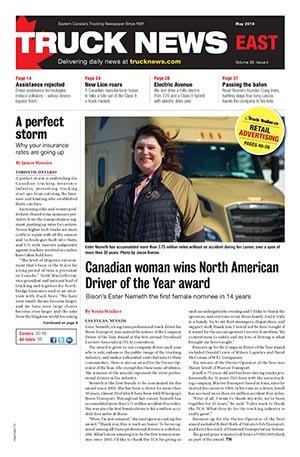 According to Munro, RoadLink’s acquisition of C-Truck will provide a key strategic opportunity to launch a new alliance with Fastfrate to further extend the offerings of the RoadLink platform into Canada, while enhancing the overall strength and geographical diversification of RoadLink’s services. Aligning the capabilities of RoadLink and Fastfrate makes sense in light of changing North American business dynamics, according to Fastfrate president and CEO, Ron Tepper. As the manager of investment funds that own both RoadLink and Fastfrate, Fenway Partners was well positioned to support the two entities in realizing cooperative business potential. 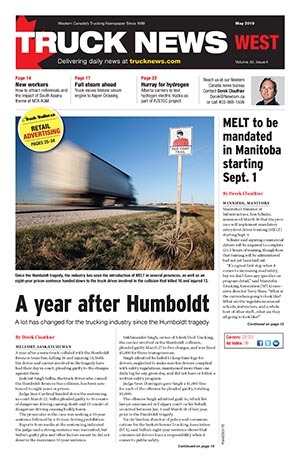 According to Munro and Tepper, a joint customer development and service delivery team is aggressively working on the integration and operating plans for C-Truck along with several other joint business activities.